The mountains surrounding Quito, Ecuador. I have accomplished many things in my life, though it is no more nor less than many people I know. I have done many things that I have been told I was “supposed” to do: graduated from college, found “real” jobs, moved out of my parents’ houses. I have also done many things just for me, the most important of which is the impetus and theme for this blog: traveling through South America. But in spite of all the many things I’ve done, I have come to realize that I have never been in love. 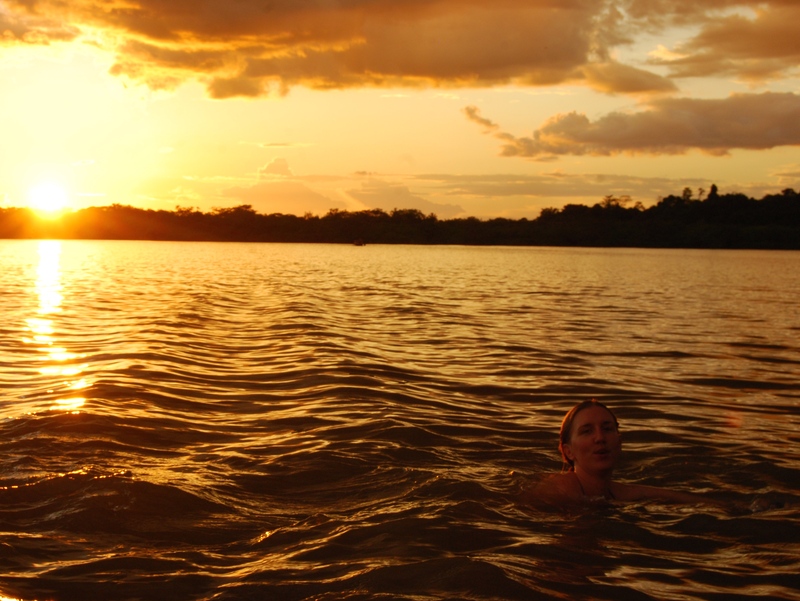 Taking a dip in the Cuyabeno River, Ecuador. I am not the most humble of people but, ironically, I think one of my greatest strengths is my ability to acknowledge and admit to weakness, and making myself vulnerable is probably my biggest weakness. So it is true that I have never fallen in love with a person, but to say I have never been in love is a gross exaggeration, for I have been and continue to be irrevocably in love with something much less transient and even more physical than that latter love I mentioned above: places on a map. 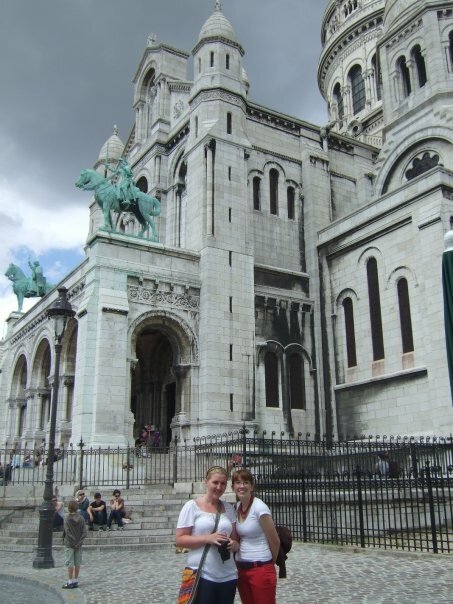 Rose and I in front of Sacré Coeur in Montmartre, Paris, in 2007. The first time happened more quickly than I could have imagined. When I was 18, my mom traded houses in the south of France and in the process of taking two friends to the airport and picking one up, I spent a little less than a day in Paris. I spent that day eating macarons and drinking café au laits in restaurants some of my most idolized writers frequented. I climbed the towers of Notre Dame and, like a gargoyle, hung over the edge to look as far as I could see in every direction as I considered the mastery of the cathedral itself, which I was then reading about in Victor Hugo’s The Hunchback of Notre Dame. I wandered, and was momentarily stalked, through Père Lachaise cemetery, and I left the trace of my lips, on top of those of so many others, on Oscar Wilde’s grave. Everyone does these things, it seems, when they go to Paris. But for me, I left something there which I have never gotten back. Whether it got caught in the cobblestones of the streets, in the scent of roasting meat, in the lilt and arabesques of the language, some part of me became a part of Paris. I went back a summer later for a month and the feeling only became stronger, the hunger for the city and all it held only more voracious. Years and years have passed since I’ve been back, but when I think of that city my hearts seems to pull in that direction, like a compass towards the Pole. At those moments I feel a longing which so many poems and stories describe as the way one feels for a beloved that is out of the reach of one’s arms. Paris holds for me the memories of minds I admire, of written words that have helped form me, of stories that sparked in me my own desire to write. My love for Paris is one of the mind. Teotihuacán, the “Place Where Men Become Gods”. The next time I fell in love was even stranger than the first. Strange because although I barely knew Mexico (I grew up practically within sight of it), I had a deep-rooted craving to know more. Like an attractive person glimpsed in a crowd, I thought of Mexico and was caught up in what it would feel like to be there, to feel that language on my tongue, to run into its vastness and feel engulfed. 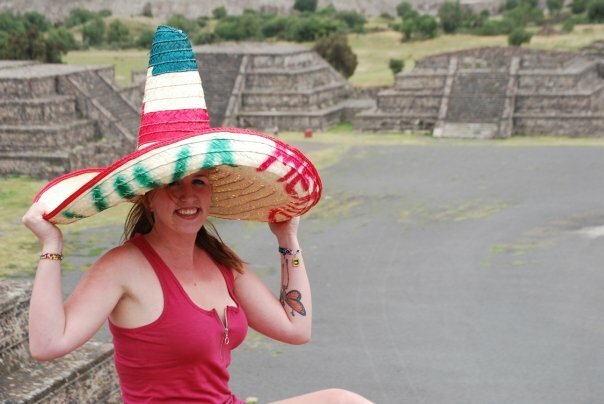 In college, I went abroad for a year to Querétaro, the city that was Mexico’s capital in colonial times. Technically I went there to study, but I can think of little that I gained academically from my time there. In truth, I went there to continue my lips’ love affair with the language, my belly’s obsession with the food, my eyes’ infatuation with the bright colors of the culture and architecture, and my heart’s sight unseen yearning for all of Mexico’s accoutrements, both the bright and exciting as well as the dark and dirty undersides. 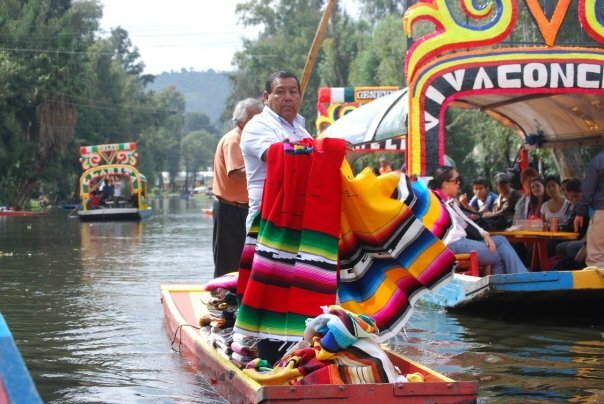 On the river in Xochimilco. Sometimes in life we meet people and we feel as if we had always known them, that somehow this is not a chance encounter but a predetermined reunion. That is how I felt with Mexico. I was meant to be there. It was far from perfect and I missed some luxuries that I had taken for granted back at home but at some primitive, savage level, Mexico and I were meant for one another. In the four years between coming home from Mexico and leaving for Colombia, I would sometimes be walking down the street in San Francisco and my ears would perk up and hone in on any utterance of that language that has become an amalgam of European Spanish, indigenous Mexican languages, and even smatterings of English, and again my heart would beat a little faster. Like hearing the voice of a love that has been lost, the Spanish language calls forth yearnings that feel strong enough to break me in half. Even here in South America, when I hear the Mexican dialect I feel a completely unexpected pang in my heart, a mixture of nostalgia and sadness and irrefutably and undeniably, a sense of being called back to something that I had fallen in love with long before I was conscious of it. I think of Mexico as my spirit country. My love for Mexico is one of the soul. 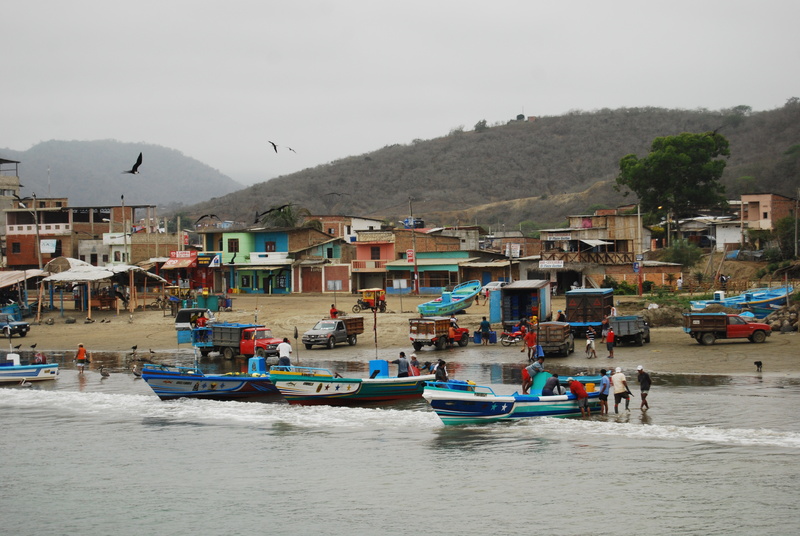 Fishermen bringing in the day’s catch in Puerto Lopez, Ecuador. Now here I am in Lima, Peru on my last day in South America. I fly home tonight at midnight. 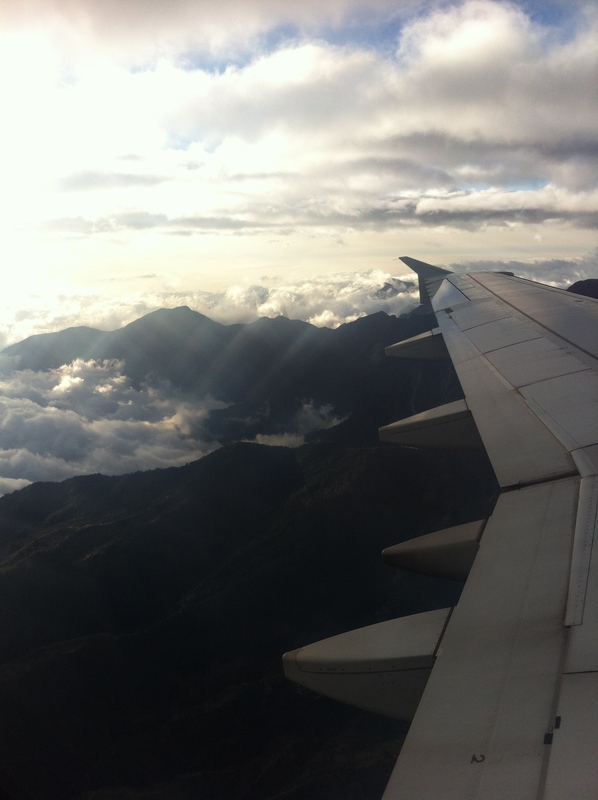 I won’t go into my feelings for Ecuador again (check out this entry for more), and perhaps I am not worried about feeling lovesick for Cuenca because for once I know I will be back soon, but in all this I have discovered something truly important. There is somewhere else I am in love with, and not just for the people in it. This time it is not love at first sight (Paris) or a fierce kind of love that was waiting for me to find it (Mexico). This time it is the kind of love that can suddenly blossom out of nowhere. The kind of latent love that you may have for a best friend, whom you’ve known for years, until suddenly one day you realize you want to do more than hold their hand in friendship. With no warning at all, the love I feel for this place has gone from platonic to… something else. The last few mornings I have woken up (in Cuenca, in Máncora, in Lima) and all I have wanted was to be waking up in my bed (or any bed as I don’t currently have one) at home in California. California with its gorgeous coastline, with its metastasized suburbs, with its mountains like broken teeth and its lakes like bottomless pools of pellucid tears, its cities as different as anything could be, its hyperinflated housing and its beautiful, invaluable diversity. It is with my home that I have finally fallen in love. I know that I will continue to leave it, again and again, but I will never again forget my devotion to it. It is easy to fall in love with places. They ask nothing of you except an open mind. By loving them, you do not also give them the power to destroy you. By loving them, you are only finding pieces of your own heart that you never knew were missing. And though one day I hope to find the courage to fall in love with a person, for now my love for places, for Paris and Mexico, for Ecuador and California, is enough. 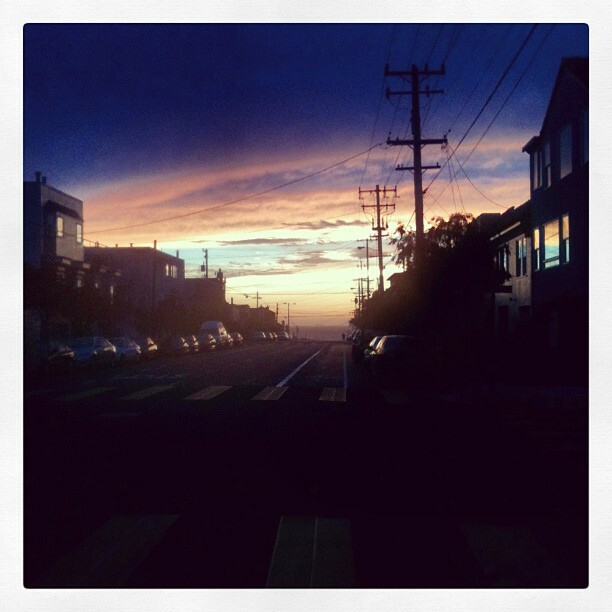 My love for California is one of the heart. California, la güerita is coming home. Your writing is beautiful! Can’t wait to see you! As your mother, I know you from my own motherly perspective. From your blogging during this incredible adventure, I have come to know you from yet another. You have tremendous depth, tremendous insight & a talent for writing that I so hope you share with this world. Please make sure you do that. 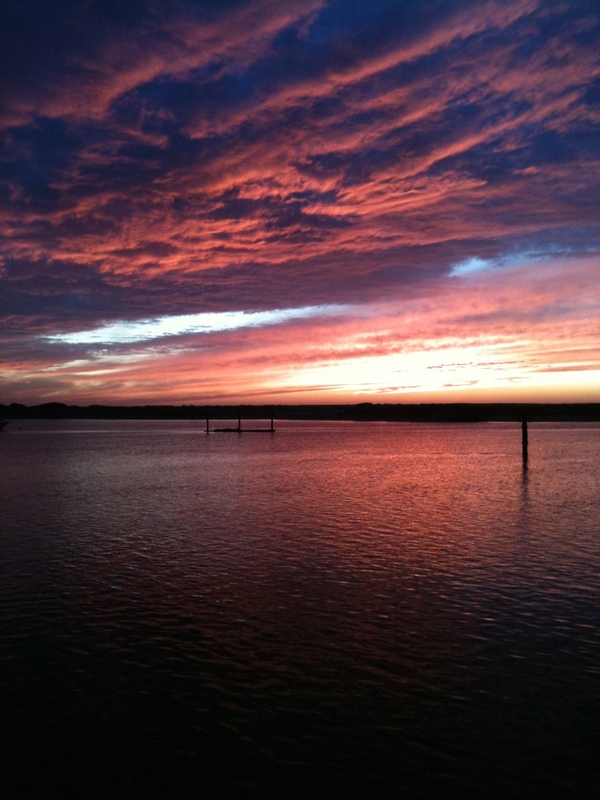 You were given a gift…..for a reason.